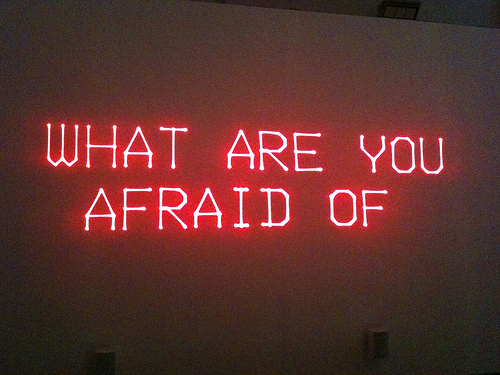 What are you afraid of today? What is it that makes you scared? Worried? Terrified? We all have something. We all have someone. We all something that take away our joy, our confidence, our hope. We are all afraid of something. It’s that reason why that one of the most mentioned commands in the Bible is this. Do not be afraid. Do not fear. Over and over again in scripture we are told to do not be afraid. Do not worry. Do not live in fear. But they shall serve the Lord their God and David their king, whom I will raise up for them. “Then fear not, O Jacob my servant, declares the Lord, nor be dismayed, O Israel; for behold, I will save you from far away, and your offspring from the land of their captivity. Jacob shall return and have quiet and ease, and none shall make him afraid. The people of Israel were going to be defeated by the foreign army. Their way of life was going to change forever. Nothing would ever be the same again. They were going to lose so much of what they knew, what they expected, what they had hoped for, what was the their foundation. They were afraid. They were terrified with what was going to happen. And so, in that moment, God speaks these words – do not be afraid. And then again at the end, no one shall make him afraid. He will not be afraid, for I, the Lord, and with him. Do not fear. And today, no matter where you are in your faith, that is His call to you as well. Do not be afraid. Do not fear. Do not worry. God is with you. God loves you. God is for you. Today, you have nothing to be afraid of. For you God is with you. Take confidence in that fact today!